To read my Expo East overview and enter to win a swag bag fresh from the show floor, click here. 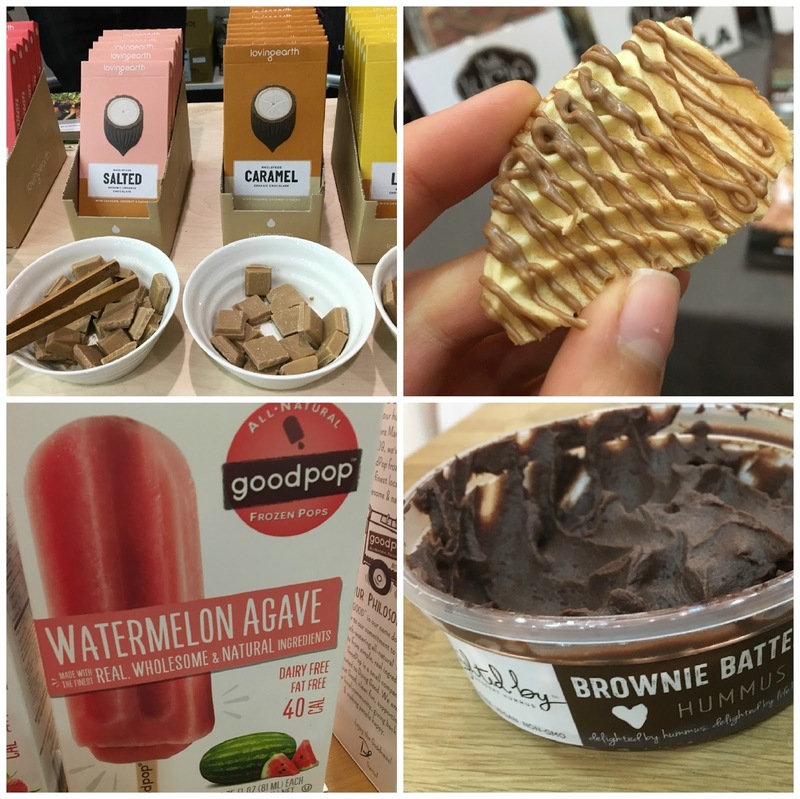 Invariably the largest category of foods I tasted at Expo East is sweets, which means tons of sampling of chocolate bars, ice creams, cookies, and other sugary items (not that I minded of course). 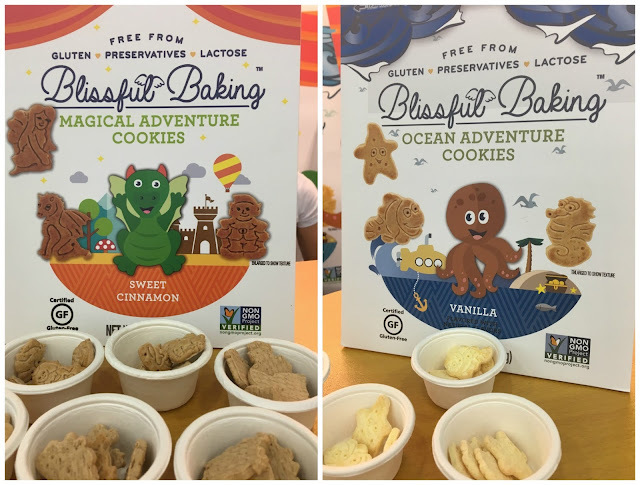 This first post from the 2016 Expo East features the frozen treats, cookies, and other desserts I found on the show floor. From new products from familiar brands to new-to-me discoveries, I will totally be seeking out these at local stores and inc.
Are you craving chocolate bars or wonder what "dessert hummus" could possibly be? Read on but beware that viewing might set off your sweet tooth! Gelato is the unicorn of gluten and dairy-free desserts, but luckily Revolution Gelato's vegan creamy dream dessert is totally real. With coconut cream and cashews as the base, this gelato has the decadence you'd expect from the Italian delicacy with no "off" textures or flavors that typically signify non-dairy frozen desserts. The orange cream and vanilla flavors were the standouts. While the gelato was top notch, the passion of the staff really impressed me. 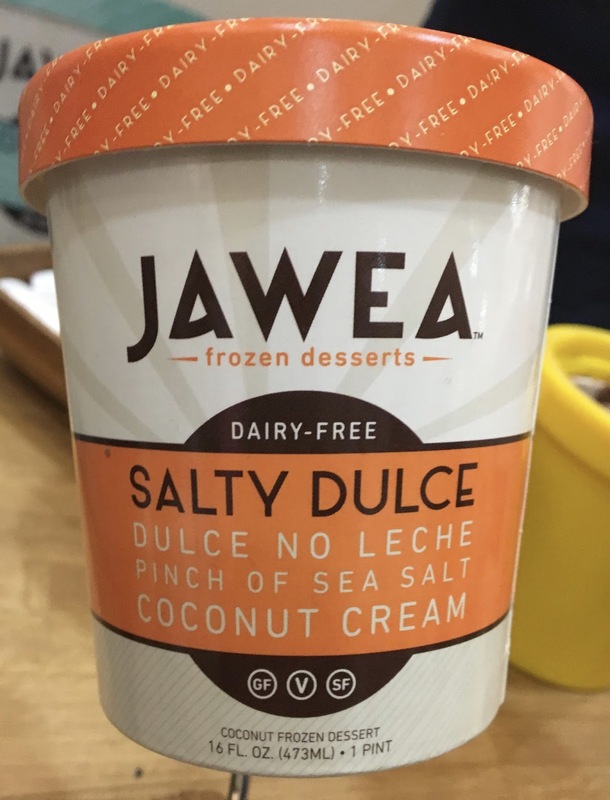 Another coconut-based ice cream that caught my eye was Jawea's vegan salty dulce. Creamy and caramely, Jawea earned points for the delicious melding of sweet and salty that only salted caramel can provide. Coconut-based frozen desserts typically turn me off for coconut undertones, but this one did a good job of keeping the flavor focused. 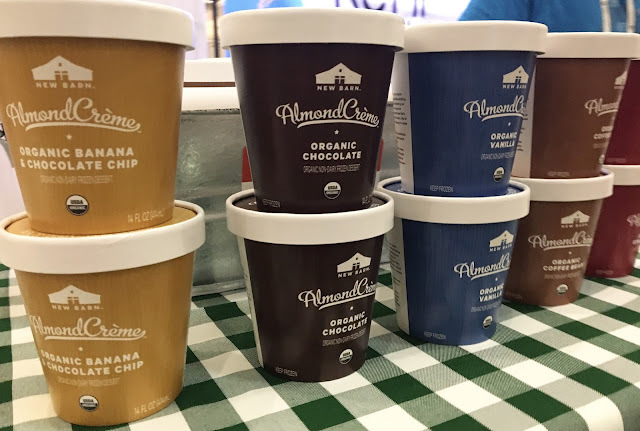 Organic almond milk purveyor New Barn faces stiff competition from the abundance of almond-milk frozen desserts on the market, but their Almond Creme duly impressed me. It has scoop-ability and the mouth feel of the old fashioned ice creams I can recall from my dairy-eating days, and the flavors are both comforting and complex. The indulgence factor is high, which surpassed my expectations. (note: some flavors contain wheat and/or egg). 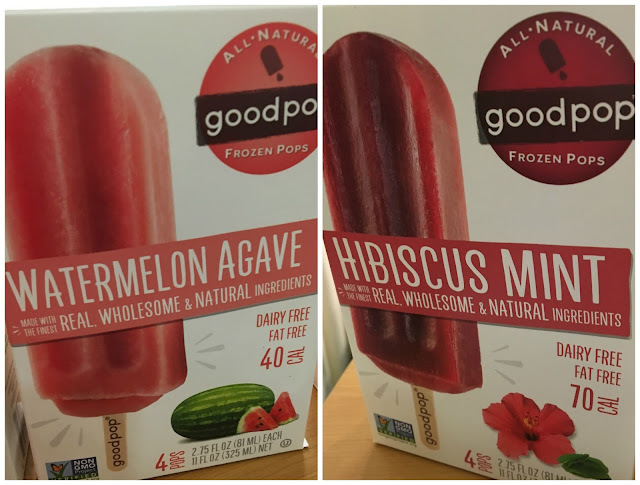 A refreshing break from their creamy counterparts, Goodpop was a nice break for light, refreshing, fruit-based indulgence. I tried their watermelon agave and hibiscus mint flavors, which equally impressed by their ability to let the flavors of the watermelon and hibiscus take center stage. Although I am all about fall, I had a bit of nostalgia when enjoying the pops, as they would be the perfect antidote to hot summer days! I often joke that I am a college student who often eats like a preschooler. Blissful Baking's shape cookies totally appeal to both audiences and are gluten, nut, and dairy-free. In chocolate, vanilla, and sweet cinnamon, the latter totally nailed the void of allergen-free animal cookies in the world and had a satisfying crunch and sweetness. Brand new to the scene, I hope these cookies make their way to your neck of the woods soon! Every time I go to the grocery store I always look mournfully at the intricate gourmet cookies that are off limits for me. Luckily, Bella Lucia's pizzelles restore the simple pleasure of old-world style cookies to gluten and dairy-free eaters. 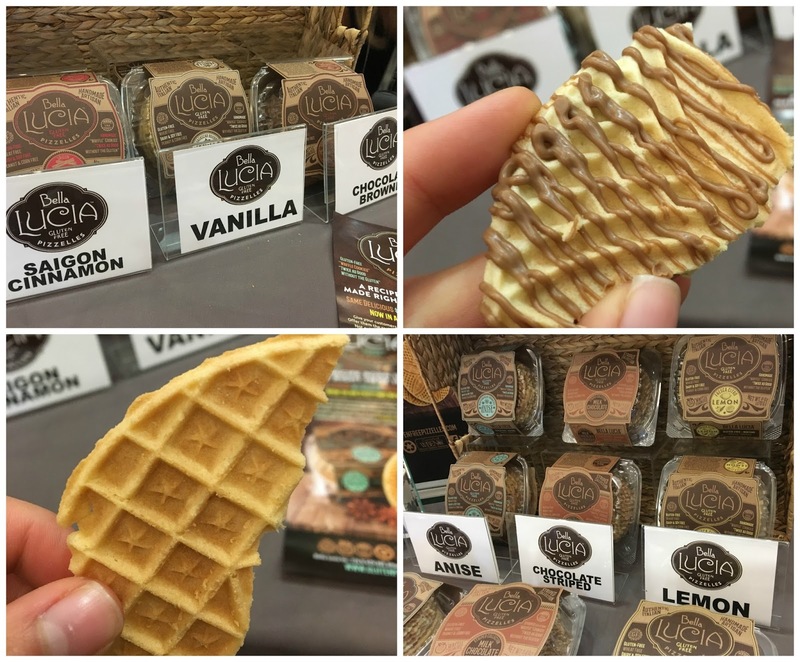 The cookies have the taste and texture of waffle cones and come in dazzling flavors such as lemon, cinnamon, and vanilla with a chocolate drizzle. They're good as-is, and would be divine broken over a bowl of non-dairy ice cream! People who cannot have dairy are usually limited to one option in the chocolate aisle: dark chocolate. Sweet Eats is determined to change that through their line of gourmet dairy-free "white" chocolate, "mylk" chocolate, and dark chocolates that's paleo, vegan, and made with no refined sugar. Coconut milk is the secret to the luxurious creaminess of these chocolates, and I can confirm that my first taste of "white" chocolate and mylk chocolate in years was totally blissful. Plus, with an amazing combination of flavors, each bar is an exercise in indulgence. 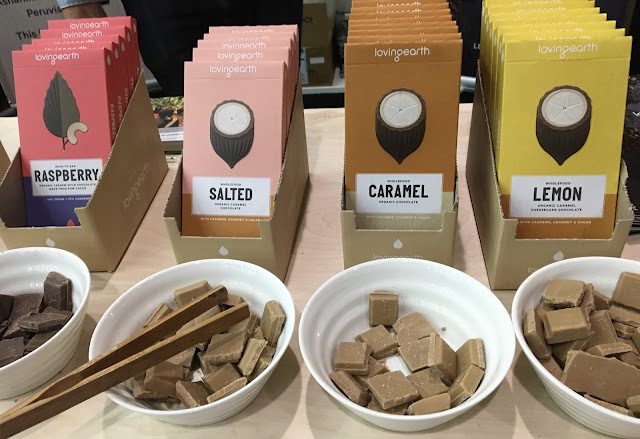 LovingEarth is an Australian company, whose gluten-free, vegan chocolates are innovative for their use of the whole pod of cacao. 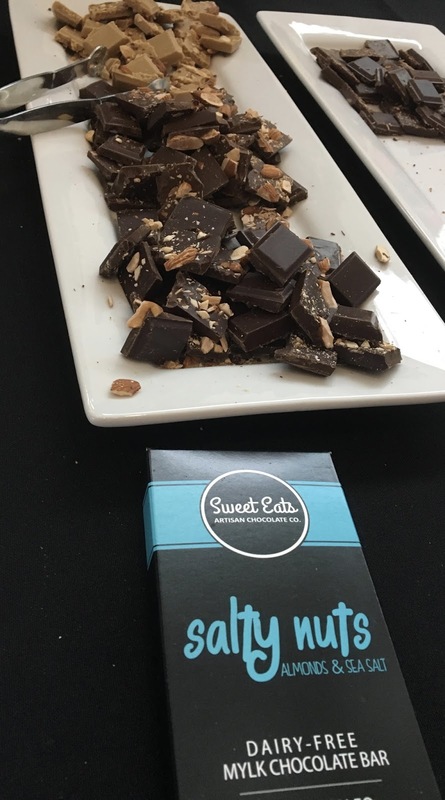 With the help of cashews, coconut nectar, and a touch of salt, the salted and caramel bars provided a moment of bliss during the chaos of the show floor. Their texture is creamy and dreamy, and the chocolates are unlike any other bar I have tried before. 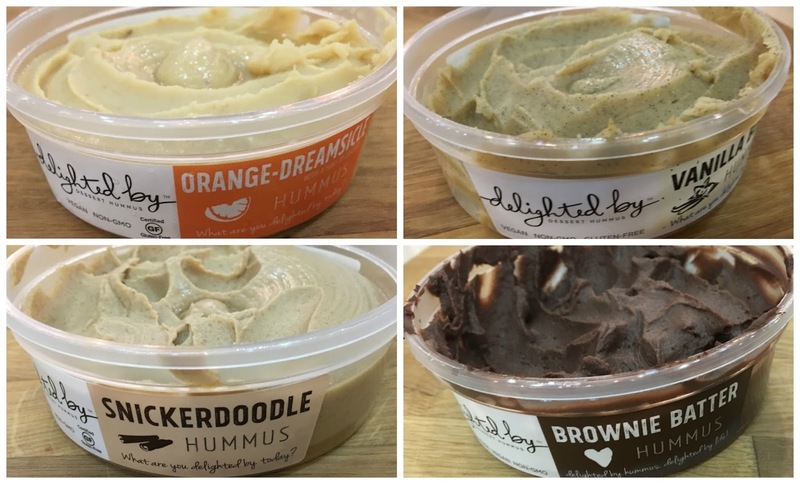 "Dessert" and "hummus" are two of my favorite food concepts, and Delighted By's line of sweet hummuses creates a harmony of both words. I liked the standout boldness of the orange-dreamsicle and the nuanced flavors of the vanilla bean, these hummuses have all the plant-based power of garbanzo beans with a touch of decadence. As for a dipping mechanism? I recommend pretzels for salty/sweet perfection. I, like many of you, am guilty of eating Enjoy Life's allergen-free chocolate right out of the bag. 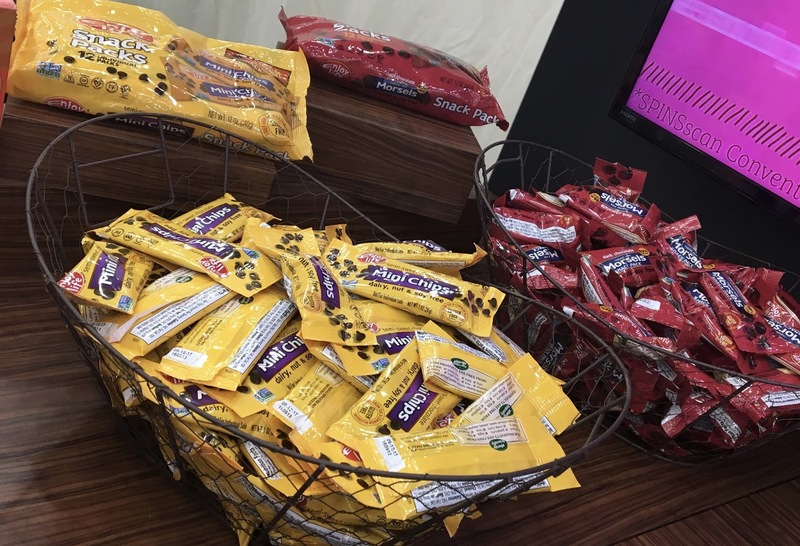 Lucky for all of us, Enjoy Life Foods caught wind of the practice and has brought into production snack packs of individual portions of their signature chocolates. Whenever and wherever you need a chocolate pick-me-up, Enjoy Life now has your back. Disclaimer: Ingredients and manufacturing processes can change without notice. Each product should be reviewed for individual nutritional needs. Feel free to to contact me with any questions or comments. I was free samples from each company, but my thoughts on and review of each product are reflection of my personal opinion.